Boxwheel Trailer Leasing was founded on the idea that leasing semi trailers doesn’t have to be complicated. Leveraging decades of experience in trailer leasing and sales, our team of industry veterans has eliminated the red tape and mountains of paperwork to make getting on the road with a leased, rented or purchased trailer easy, affordable, and safe. With a large inventory of 28’, 45’, 48’ and 53’ trailers in roll-door or swing-door configurations from the best names in the business including Great Dane semi trailers, Wabash semi trailers, Utility semi trailers, and more, we work closely with our customers to determine the ideal renting, leasing, or sales solution for their needs and their budget. From our one-page application and rapid insurance approval to Spireon GPS location and mileage tracking, we make it easy for companies to stay focused on business. Our leadership team includes some of the nation’s most experienced and respected trailer leasing and sales professionals. Mike Di Paolo Co-Founded Boxwheel Trailer Leasing, LLC in February 2018 and brings 27 years of trailer rental, leasing and sales experience. He brings operational, support and management experience to the organization as well. 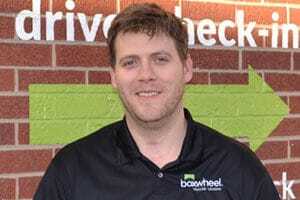 Prior to forming Boxwheel his roles focused primarily in sales and account management, serving as Sales Representative, later as Branch Manager and ultimately General Manager. He currently resides in Denver, Colorado with his wife and child. 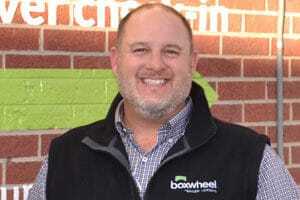 Mike Sindelar Co-Founded Boxwheel Trailer Leasing, LLC in February 2018 and brings 30 years of trailer rental, leasing and sales experience to the organization. Before forming Boxwheel, Mike Sindelar successfully grew two other startup trailer leasing companies. Over the years, Mike has also held multiple management positions including Branch Manager, Sales Manager and Director of Sales. He currently resides in Denver, Colorado with his wife and four children. Marc Spezialy joined Boxwheel Trailer Leasing, LLC in March 2018 and brings 15 years of financial experience to the organization. Marc began his career at PwC where he became a Manager. Since leaving PwC he has held various senior-level financial and management positions across multiple industries. Marc double Majored in Accounting and Finance from the University of San Francisco and is a licensed CPA in California. He currently resides in Denver, Colorado with his wife and two children. 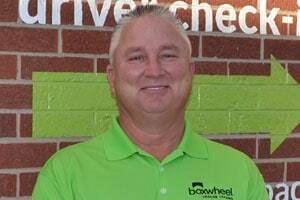 Mike Dickhausen joined Boxwheel Trailer Leasing, LLC in August 2018 and brings 30 years of transportation experience to the organization. Mike began his career in the commercial tire business later transitioning into the trailer Sales and rental business. He has held various positions including Operations, Support and Sales. Mike is a proven strong performer and a great addition to the Boxwheel Team. Mike is married with two grown children and currently resides in Brighton, Colorado. 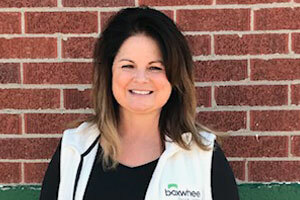 Don Ryan joined Boxwheel Trailer Leasing, LLC in March 2018 and brings 20 years of transportation leasing experience to the organization. Don began his career in operations working for a national trailer leasing company later working for a locally based trailer rental supplier. 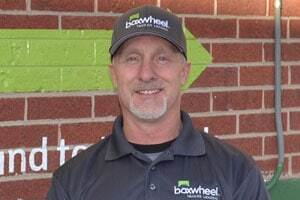 Don is a veteran operations professional and in his current role as operations manager brings his experience, dedication and energy to the Boxwheel Team. 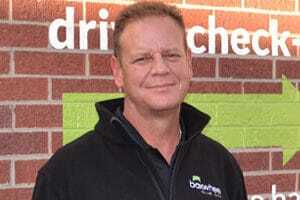 Don is married with 3 children and currently resides in Lakewood, Colorado. Kristie began her career at Prime Trailer in 2006, worked her way up to become administration assistant manager with Prime. Kristie is a title clerk and a Colorado notary among various other skills. Kristie has 2 children and currently resides in Thornton with her daughter Bailey and her 2 dogs (dachshunds). She is an avid sports fan and enjoys watching her daughter play soccer. Mike and Mike are the real deal when it comes to a true business partnership and a great friendship. Their knowledge of the trailer industry and what it takes to help keep us truckers competitive to our customers is outstanding. The best guys we have ever worked with. You will never find two guys that care about your business as much as their own. They really are the best option for your trailer needs. Thanks very much to you both for helping my company be a cut above the rest. –Wade Houg, RFMX Corp. I have had the pleasure of working with Mike Sindelar for nearly 20 years. Mike has always done a fantastic job of understanding our business needs and helping us find the right trailer solutions to meet those needs. We’ve worked with other trailer leasing companies in the past where we would often see many added charges after the fact. Mike has always treated us fairly and reasonably, and he’s always understood and valued the relationship versus any one opportunity to make an extra buck. –Seth Goldfogel, Acme Distribution Centers, Inc.
We stay current on semi trailer leasing, sales, and storage best practices through our relationships with industry-leading trade organizations.